I embrace the work-ethic of “potential” as a gardener and parent, but as a very amateur photographer, I embrace the optimism of “hope,” because… I have to. If I get a good photograph, it is due to good luck rather than talent. 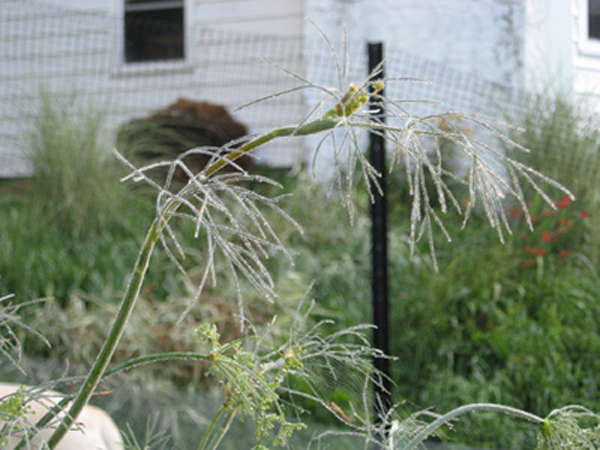 A spider’s web, bottom-center, and the dill plant, both sparkle with dew. 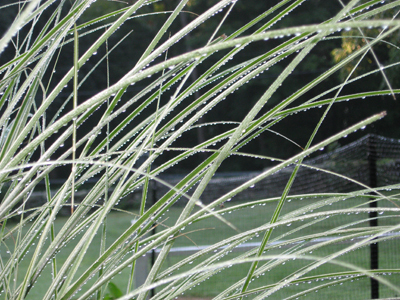 Droplets on the decorative grass in the flower garden. Sometimes you just get lucky, and the photo turns out better than you had dared to hope. 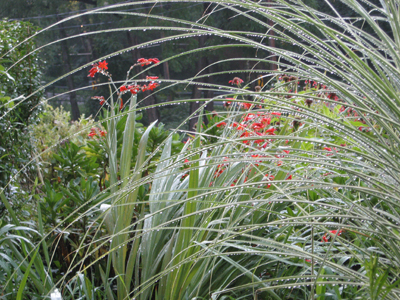 Dew on the grass and the crocosmia.